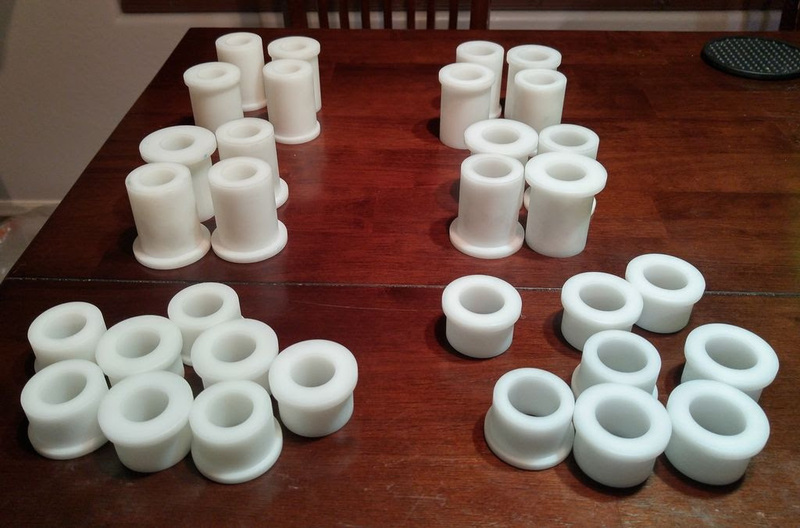 If you haven't read the Bushing Megathread , go do that first. Then come back and talk to us. So far this is our favorite option. It is perfect for people who want better performance out of their already installed poly bushings, but don't want to go all out and run delrin everywhere. This kit will replace all the metal sleeves that come with your poly kit with higher strength sleeves and . SAE863 bearings. 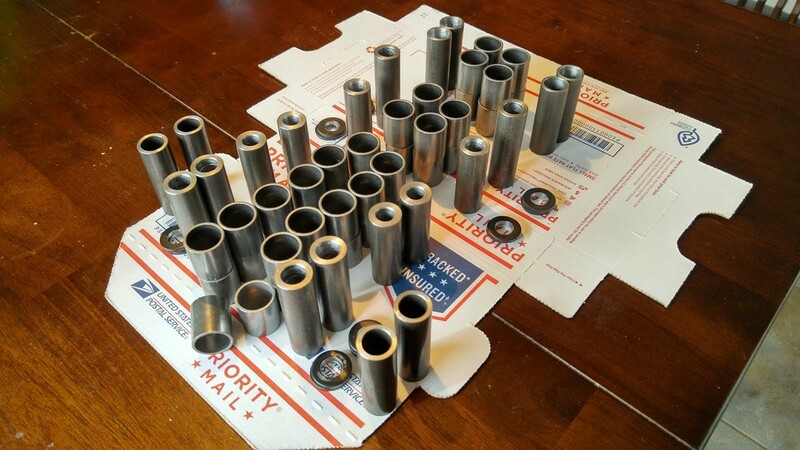 Note: The FUCA bushings must be drilled out, at some point we may offer an exchange program but as of now you must ship your FUCA bushings to us to have them drilled out. He will then ship them back to you with the whole retrofit kit. This is a bare bones delrin kit. Nothing fancy, you just want moar stiff. Note: All delrin bushings require drilling out with a 7/8" drill after pressing into control arms. This is the kit that Sean and I run. It is delrin everywhere that works, with poly and bronze bearings in the spots you can't and a spherical in the RUCA-O location. This is the same as the Full Package, but uses a poly bushing and bronze bearing in the RUCA-O because of the NASA small bore rules about metal bearings. This is the all out, nothing wasted, perfect bushing setup. Sphericals everywhere they are needed, and delrin everywhere else. This is still in development, so pricing will be announced later, but if you are interested in it contact us. A common solution to gaining more camber in the front of a Miata is to install an offset upper bushing. While this does increase camber, it also decreases bump travel when using wider than 8" wheels. We recommend using a delrin offset bushing in the forward lower control arm position combined with a poly bushing in the aft lower control arm position. Until now the only way to get a bushing like this was to have it custom made. Not anymore, SADFab is offering offset forward lower control arm bushings to get all the camber you want. -All prices include shipping, and most of our packages can be adjusted to fit your needs just shoot us an email at info@sadfab.com and we will make something work.